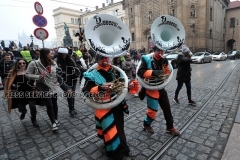 Eurokarneval a XXV. festival Guggemusik souborů se vrátil do Prahy. 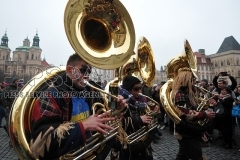 Po 7 letech do hlavního města opět zavítali hudební masopustní skupiny, tzv. 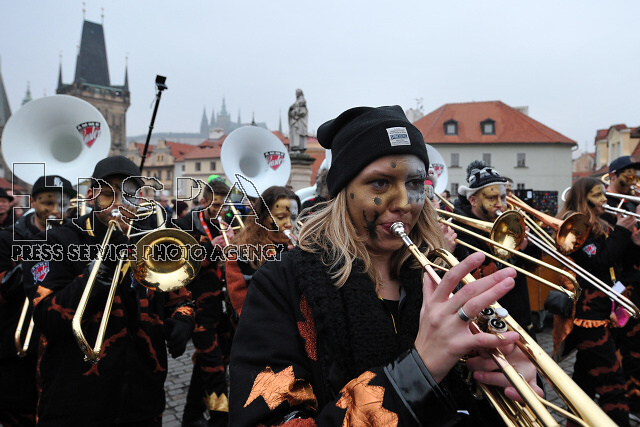 Guggemusik soubory, skupiny masek a šašků které mají tradici především v německy mluvících zemích a krásné kostýmované taneční soubory z Itálie. 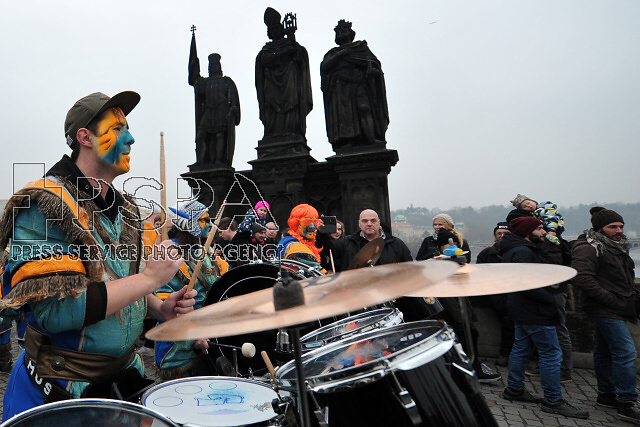 Festival se koná každý rok v jiném evropském městě. V minulých letech to byla např. 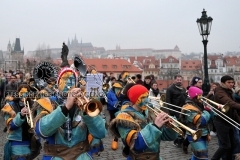 Paříž, Řím, Berlín, Salcburk, Verona či Benátky. Celkem dorazilo do Prahy téměř 1300 účastníků. 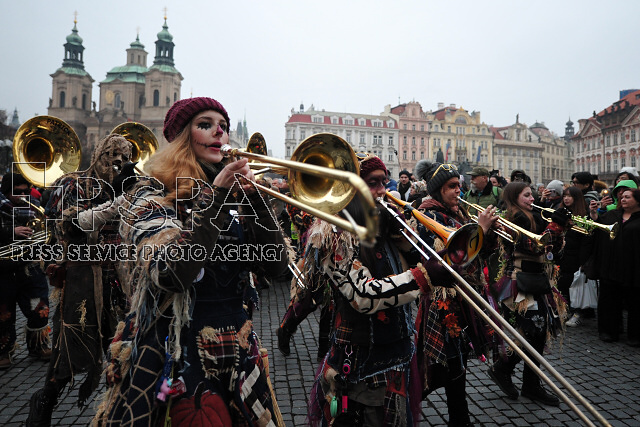 Masked carnivalists during the Eurocarnival and the Festival of Guggemusic Ensembles in Prague in Czech Republic. 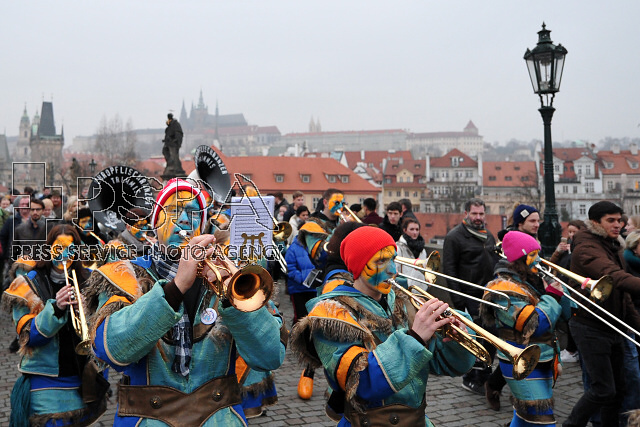 The carnival takes place in a different European city every year. 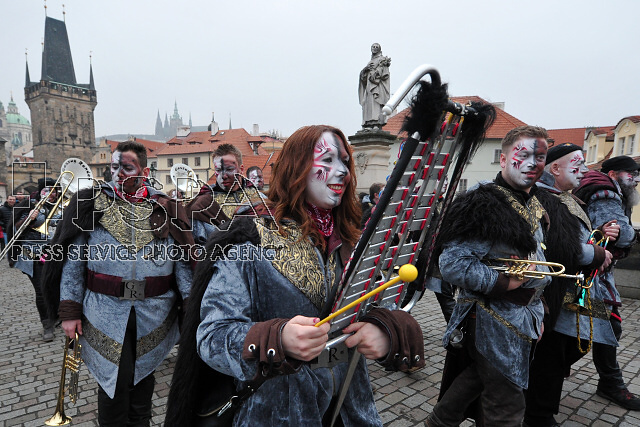 Last years of the festival were held e.g. in Paris, Rome, Berlin, Salzburg, Verona or Venice. 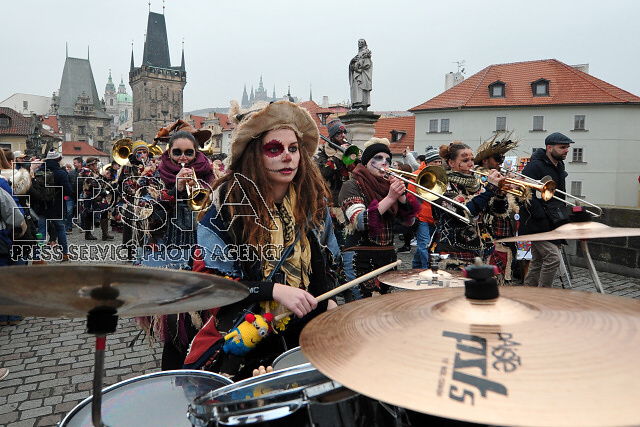 The Eurocarnival has been held in Prague for the third time with a participation of nearly 1300 musicians, dancers, fools and jokers from Germany, Switzerland, Austria, Liechtenstein and Italy. 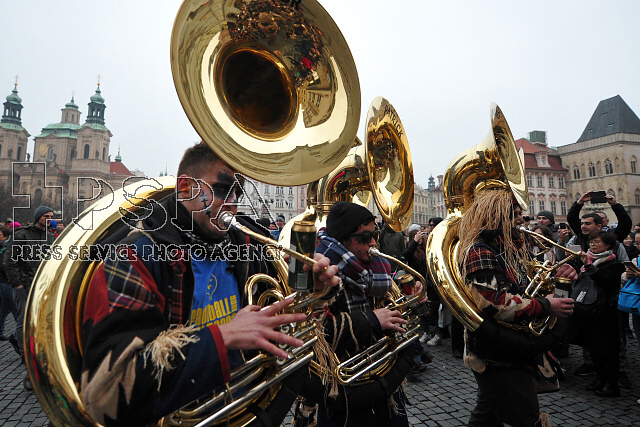 Prague´s citizens as well as visitors have a opportunity to admire a variety of beautiful and often peculiar costumes and dance in carnival rhythm to funny and original music. 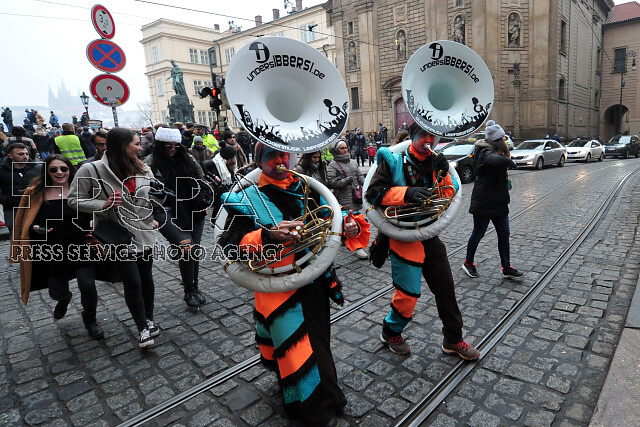 Although it is a Central European carnival taking place in winter time, it equals South American carnivals with its liveliness and energy.